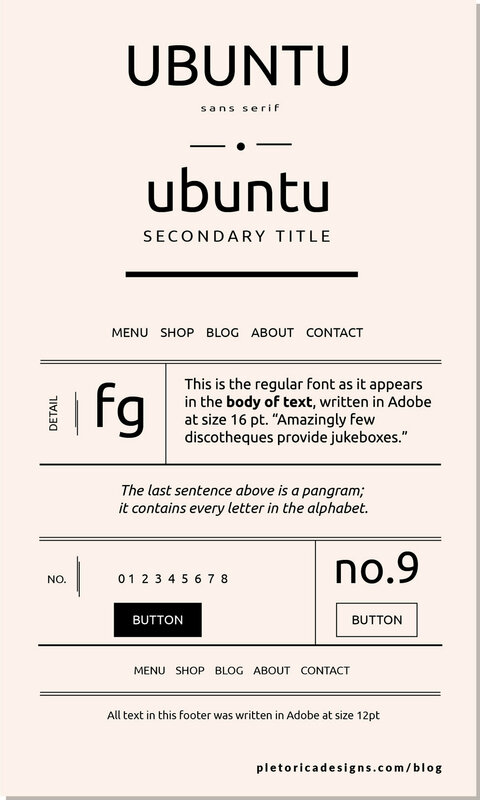 Ubuntu is friendly-looking and easy to read on the screen. Ubuntu Mono is the monospaced version used to write programming language. Lato in the title and Ubuntu in the body of the text.